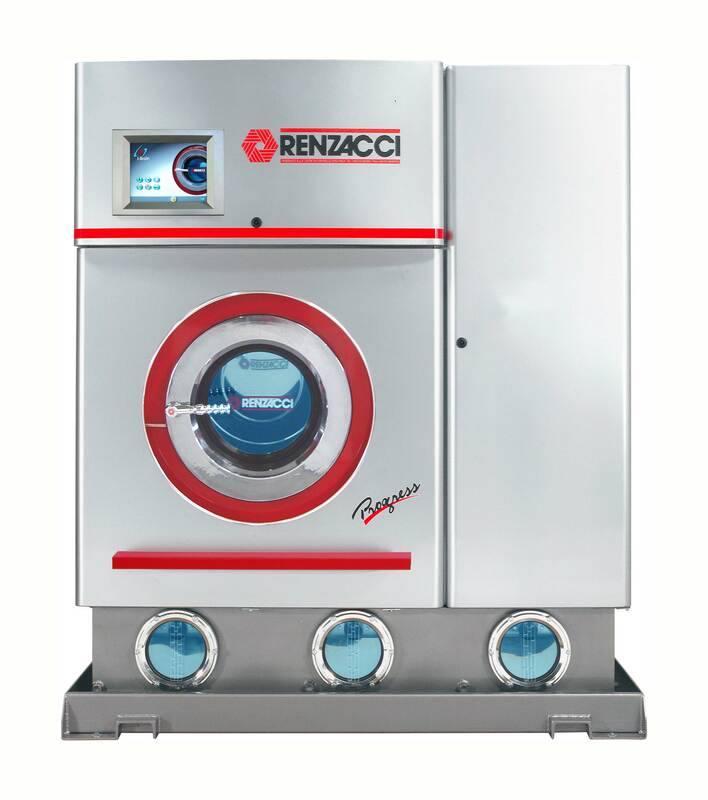 Renzacci Progress models have changed the way we view versatility in dry cleaning systems. Known for space-saving compactness paired with extreme productivity and high-quality performance, the Progress series has been a long time favorite of those with limited space but high demand. From independent dry cleaning shops to hotel chains looking to maximize their laundry space, our dry cleaning machines have helped these businesses run efficiently and affordably without slowing down. Progress models are available with a number of innovative features that can be tailored for the operator and can be equipped with the NO-FLEX® and CARBON Tower system® filtering systems if needed. At Renzacci USA, we offer the flexibility to own the exact machine you want and need for your business. That’s why we’ve made our Progress models available for Perchloroethylene dry cleaning solvents. Choose between the amazing cleaning power and reliability of the Progress Xtreme for Perc. – Progress Xtreme for Perc – Our perchloroethylene dry cleaning machines assure some of the best performances, but also offer environmental protection and operator’s safety. Get precise control and high performance with Renzacci. The Progress Perc machines are available in RANGE – 30 lb, 35 lb, 45 lb, 55 lb, and 65 lb and CLUB – 30 lb, 35 lb, 45 lb and 55 lb sizes. Take your textile care and cleaning to the next level with our state-of-the-art Renzacci Progress series! Learn more about our products and how we can help your business—call us or fill out our online form to request more information today!